There’s scarcely an industry within the digital spectrum that Google hasn’t tried its hand at, and having made a decent start to its notebook ventures with a fleet of Chromebook machines, the Mountain View company is looking to step things up a notch or two. This is according to the Wall Street Journal, which states the search giant is planning to release Chromebooks later this year with touchscreen panels, and after several reports singing a similar tune, it’s looking increasingly likely that the Big G does have something up its sleeve. These Chromebooks are said to be running on the company’s Chrome OS, and with a press event coming from Google tomorrow, the WSJ believes they will be released at some point later on in the year. 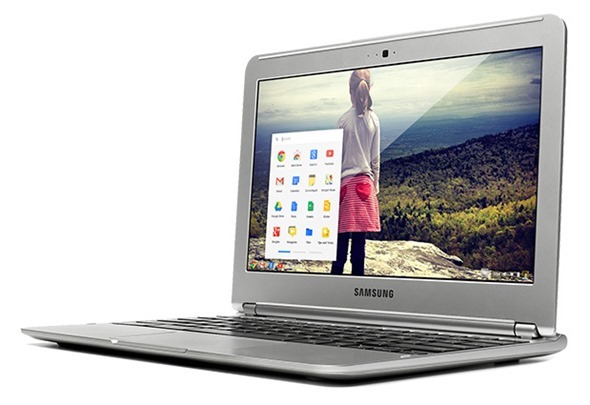 Whether the San Fran event will serve as a launch venue for this new type of Chromebook has yet to be established, but the timing seems quite coincidental if this isn’t the case. While Google usually looks to keep such information under wraps until an official announcement has taken place, it’s not as though we’re yet in possession of all the relevant info. We first heard last month of this idea of a ‘Pixel’ Chromebook, which would offer an almighty resolution and serve as a real competitor to the MacBook Pro with Retina Display, and whereas the current Acer and Samsung Chromebook offerings offer a mid-range performance at a low-end price, these upgraded models seem as though they’ll be hitting the top-end of the market. With the Journal estimating sales of around 100,000 Chromebooks during Q4 2012, it is of little surprise Google is looking to move on to bigger and better things. The company has a very significant presence in the mobile industry with Android, and will be hoping for more of the same in the high-end notebook field, where Apple reigns supreme. With so many Android partners, getting good quality touchscreen panels will be very easy for Google, and the prospect of Google bringing its own brand of high-end notebooks is certainly a difficult one to ignore. Hopefully, in a week which has been strewn with special events, tomorrow’s comparatively low-key Google affair will give us some idea of what’s in store.